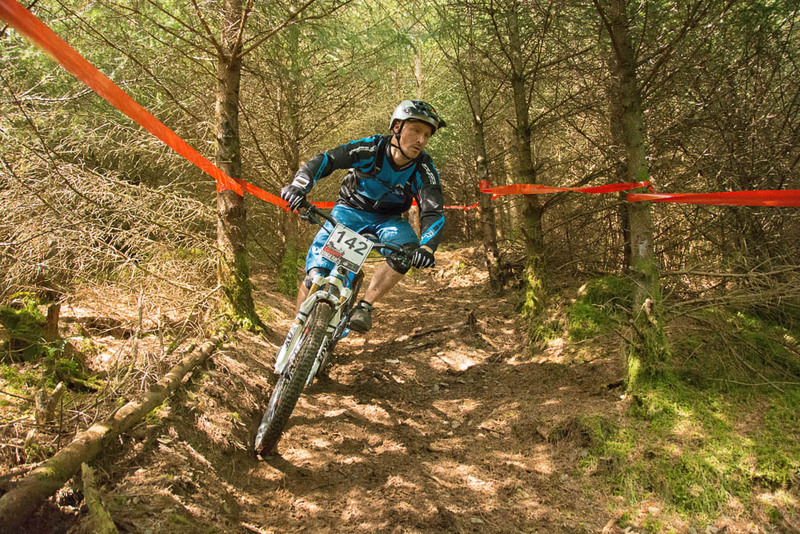 Pictures from the Altura Gravity Stage Race which took place in Whinlatter Forest on Saturday 31 May 2014. The photos can be viewed and purchased from Racingsnakes.com The race was also sponsored by Cyclewise (based at Whinlatter visitor centre) and The Forestry Commision who do a great job of looking after the Forest in the Lake District National Park. The other main sponsor was Altura (a brand of cycling wear) There were six stages to test the mountain bike riders as they rode around the Whinlatter Forest Mountain Bike trails, many of the trails had been built for the event . Each of the stages were timed with electronic timing (sportident timing system). The riders dibbed their electronic punch at the top of the runs as they started, the riders also did the same at the end of the stage with the Marshall stood on the finishing line. The time was not counted between the stages, so riders could take time to get their breath back. Photos were taken at various points around the Whinlatter course. Many were on stage 6 which was a narrow trail built through the thicket of the Forest. This stage although not a long section was challenging. the line held well and the later riders benefited from a clearer route with burns starting to build allowing for faster cornering. This entry was posted in Mountain Bike Enduro and tagged 2014, Altura, Cyclewise, Gravity, Mountain bike, Photos, pictures, Whinaltter on June 1, 2014 by racingsnakes.